Use the employer database below to find out what employers are located near you. To search the database select an industry in the first drop-down menu below. The search can be further refined by selecting either a county, city and/or employer size in the following drop-down menus. The employer name can also be searched. Results will display in the table to the right and can be sorted through the column headings. 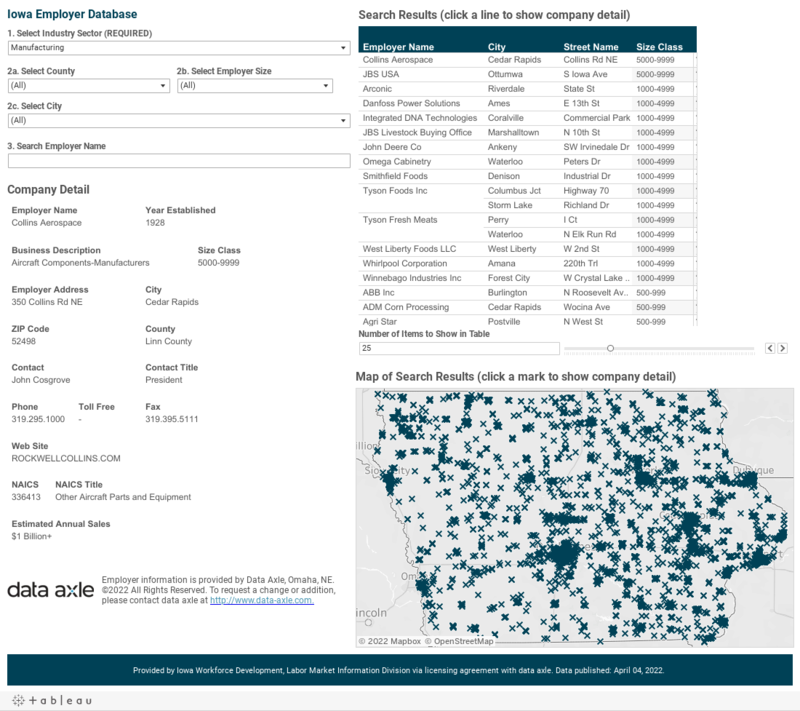 Company details will appear below the search menus when an employer in the table or map is selected. The map provided below the table shows where selected employers are located in the State of Iowa. If the data is not accessible to you through the tool below, please submit a request for assistance through the Future Ready Iowa Contact page.